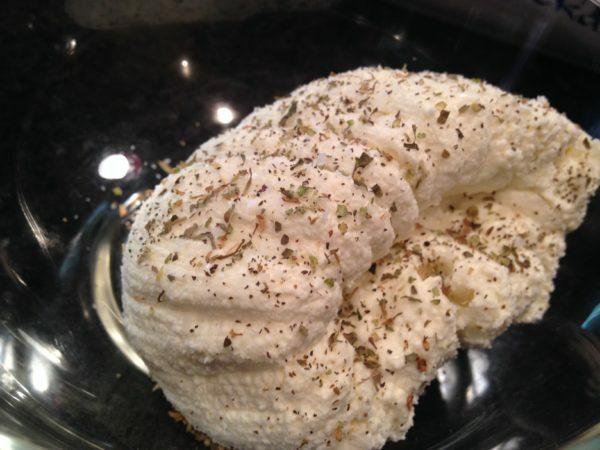 The simplest and most delicious lactose free Ricotta cheese you will ever eat. It only takes 2 ingredients and it makes 2 cups. 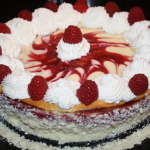 You can use it for baked Ziti, stuffed Manicotti, pizza, and desserts such as cheesecake or cannoli's, It was to die for and I will be making it again soon! Get all your ingredients and tools out on the counter. 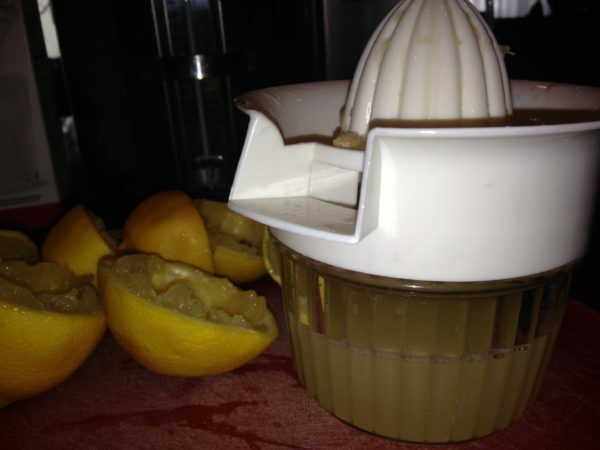 Fresh squeeze your lemons. You will use about 3-4 lemons. 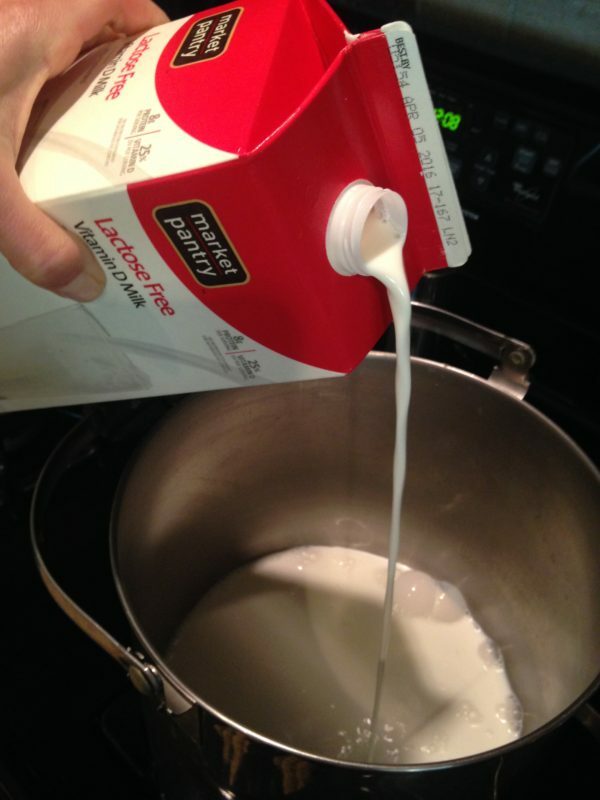 Pour 1/2 gallon of Whole Milk into Large Stock Pot. 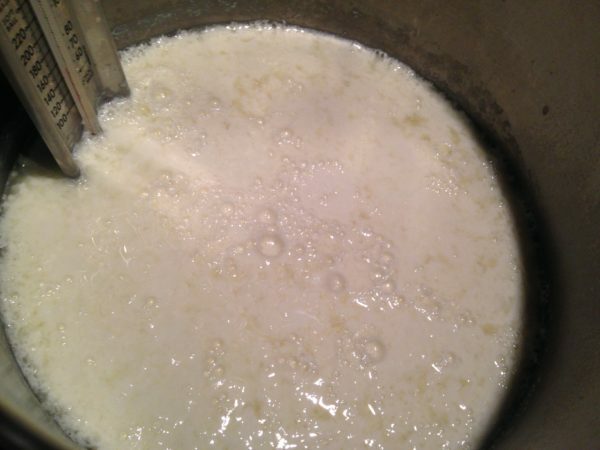 Heat milk over medium heat to 175 degrees Fahrenheit (79 degrees Celsius). This will take approx. 20 minutes. Watch it carefully. 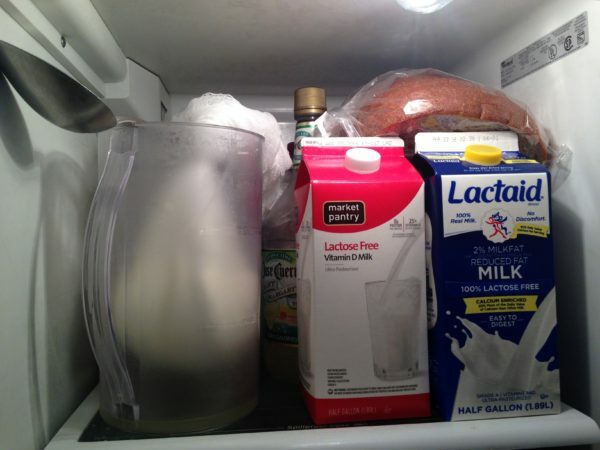 Do not overheat the milk. 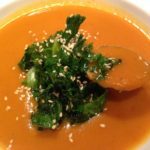 Remove from heat once it hits the proper 175 degree temperature. Add 1/2 cup of lemon juice and give it one big stir. Let this rest off and away from the heat for 15 minutes. 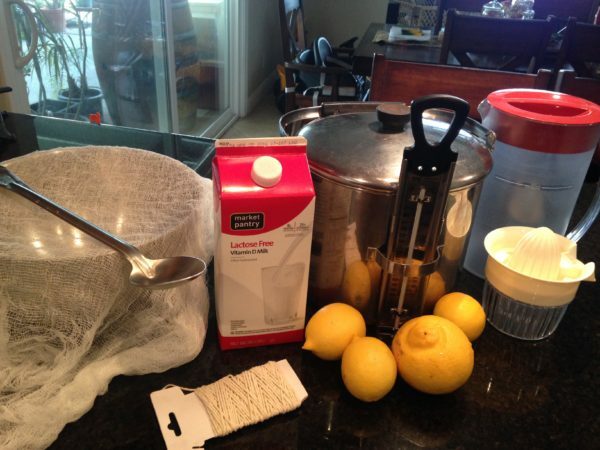 Prep your work station while the milk/lemon juice mixture is resting. 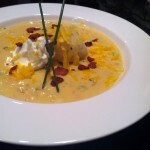 Line the large bowl with a double layer of cheese cloth. 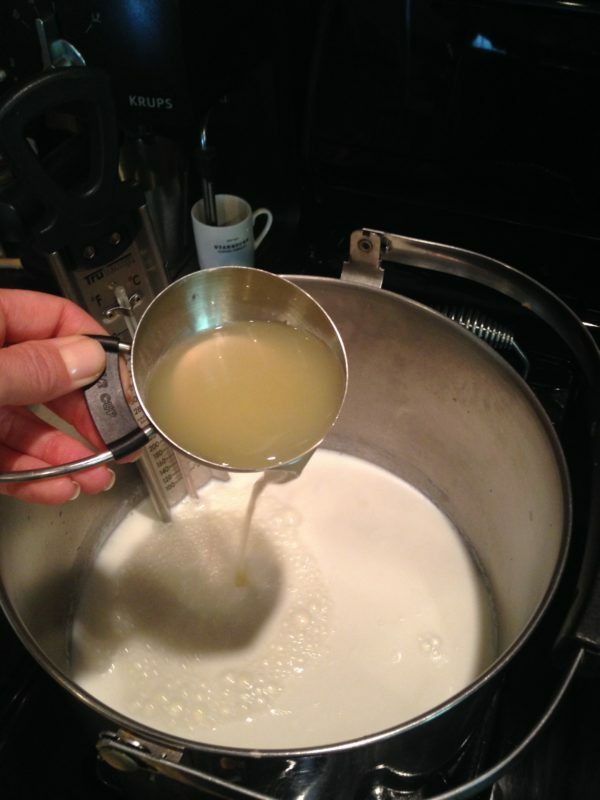 After 15 minutes, pour the milk/lemon juice mixture into the big bowl. 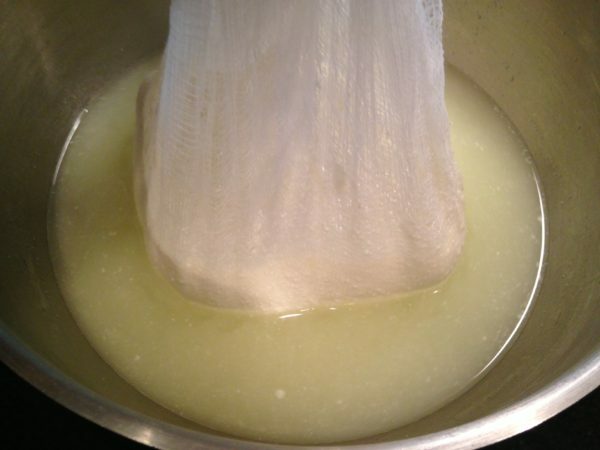 Carefully gather the ends of the cheesecloth and lift the cheese curd (milk solids) away from the whey (liquid) and tie with the kitchen twine. 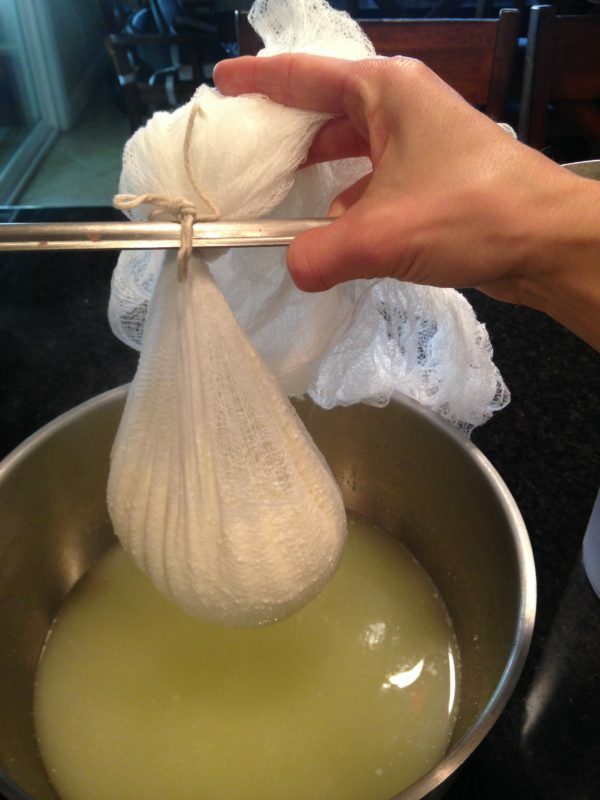 Carefully gather the ends of the cheesecloth and lift the cheese curd (milk solids) away from the whey (liquid) and tie with the kitchen twine making sure the twine is secured. 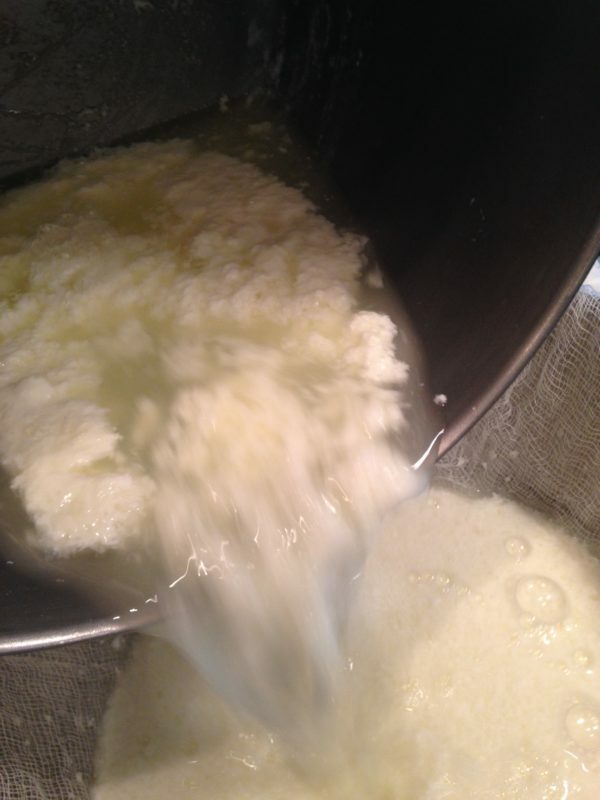 Make sure that all milk solids are in the cheesecloth and only the whey liquid is left in the bowl. 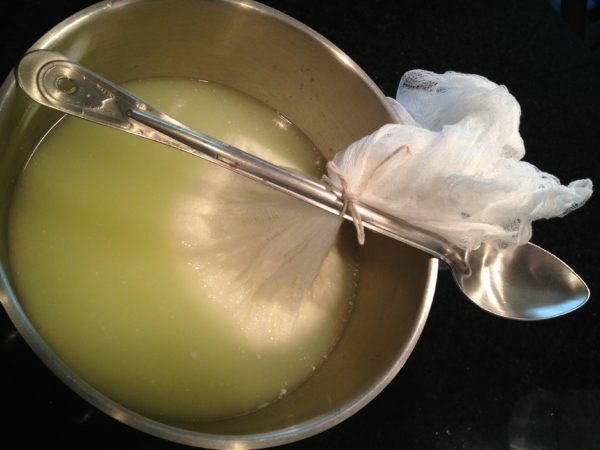 The whey liquid is a by-product and no longer needed. Discard what's in the bowl. 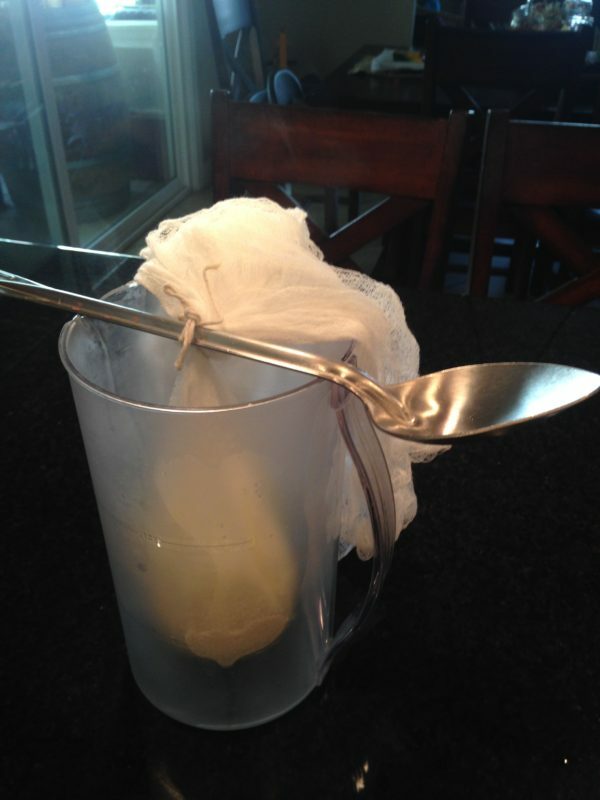 Hang the cheesecloth in a large pitcher, supported by a spoon for two hours in a refrigerator. 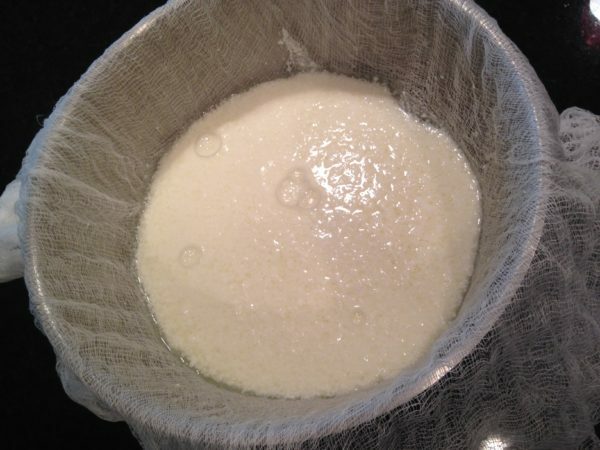 Check regularly to pour off the whey that will collect in the bottom of the pitcher. 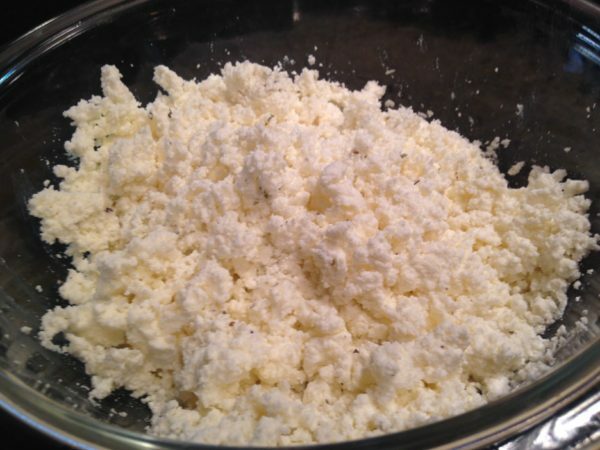 After 2 hours of the curds separating from the whey, your Ricotta cheese is finished. 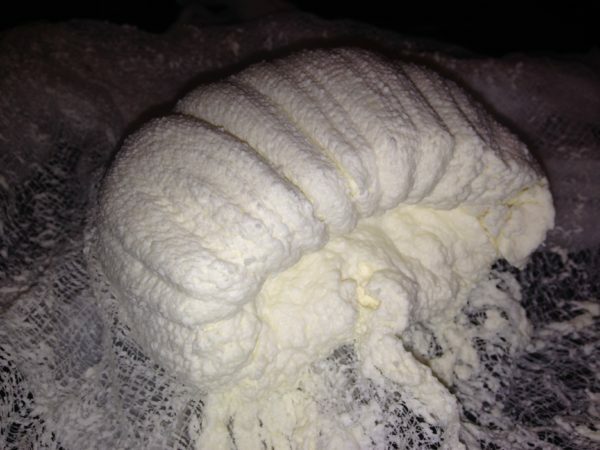 You are ready to remove the cheesecloth. 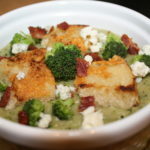 Add Kosher salt and your favorite herbs to taste and enjoy. I used about 1/2 tsp. of Kosher salt with a 1/2 tsp. of Italian seasoning. It came out perfect! Crumble it up to mix in the salt and herbs. Then add it to your favorite dish. We used ours for baked ziti. 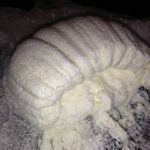 We all enjoyed this cheese and will make it again. 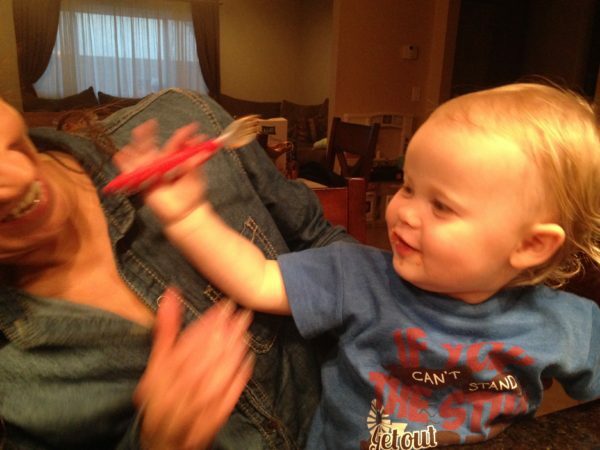 It didn't upset any of our stomachs. 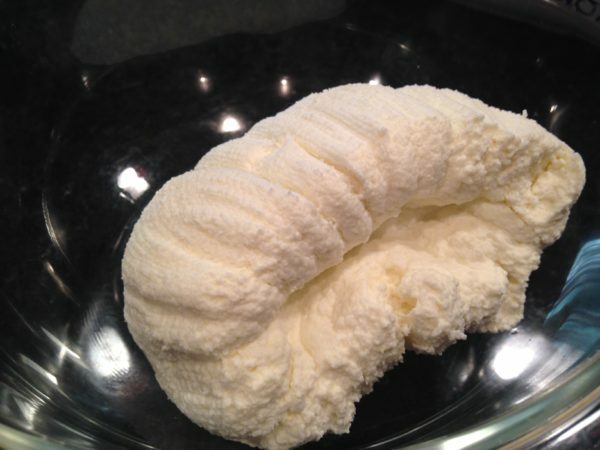 To be lactose intolerant and to be able to enjoy cheese that tastes like real cheese...is a dream come true! 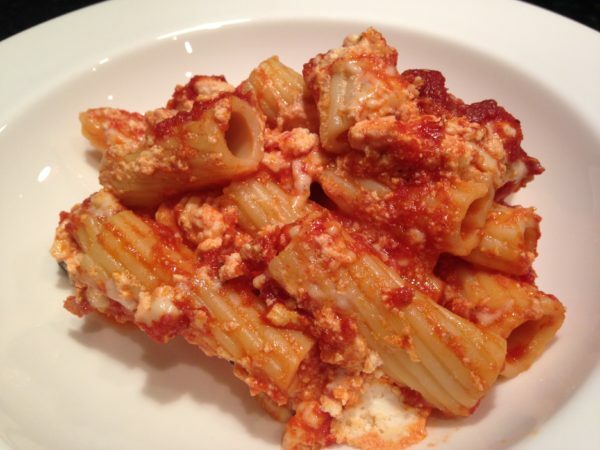 I will post the baked ziti recipe very soon! 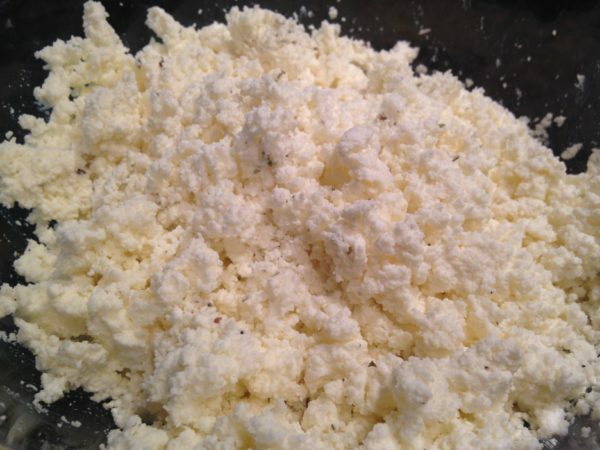 Huge thank you to this You Tube video that helped me make the best lactose free Ricotta cheese!